…GOP….RIP?……CLEVELAND DAY ONE…….. – A Nibble – A Bite – or a Meal! …….two weeks of fun in America……..Cleveland GOP Convention Day One…good luck to us…..
better, freer and more prosperous nation because their party was born.What the heck is happening at the Republican National Convention? our federal government to promote a more inclusive prosperity. various points in subsequent eras. principle and integrity will be remembered. for choosing, bluster for strength. …….so there they are…….Quicken Loans Arena ……..damn…you couldn’t write this stuff……. The convention will also include approximately 15,000 credentialed media as well as a global audience that will witness a front row seat online thanks to our Internet and social media efforts. …….. roughly 50,000 people are expected to visit the Cleveland area during the gathering. Tonight they’re going to warm us up with a star studded NOT line up of speakers……with Melania Trump out front…..
Melania Trump, Donald Trump’s third and current wife, is speaking tonight at the Republican National Convention in Cleveland. According to Google search trends data, many people would like to know where she is from and how old she is. The answer is that she’s 46 — born in 1970 in Sevnica, Slovenia. Slovenia, to be clear, is not the same country as Slovakia. Slovakia is north of Hungary and south of Poland and used to be part of Czechoslovakia. Slovenia is east of Italy and south of Austria and used to be part of Yugoslavia. Melania left Slovenia relatively young for a career as a model in Milan and Paris and then New York, where she met Donald Trump in the late 1990s and married him in 2005. Trump’s first wife, however, says he used to keep a book of Hitler’s speeches by his bed, and after Julia Ioffe profiled Melania for GQ, Ioffe started receiving anti-Semitic Hitler-themed harassment. Now I’m getting phone calls from a blocked number that play Hitler’s speeches when I pick up. Sad! Melania’s view on this was a little odd. John Quincy Adams’s wife, Louisa Catherine Johnson, currently has the distinction of being the only foreign-born first lady in American history, but her father was an American merchant and diplomat who was living in London when Louisa was born — making her something of a liminal case. There is a certain irony in Melania’s foreign-born status given the strong association between the Trump campaign and anti-immigration themes — including promises to restrict legal immigration — but polling Vox has done in partnership with Morning Consult shows that European immigrants are perceived very differently from Latin American or Middle Eastern immigrants. When she speaks tonight, you’ll notice that Melania speaks English with a fairly heavy accent despite having lived in the United States since 1996. When listening, keep in mind that English is actually her sixth language, behind not just Slovenian (her native language) and Serbo-Croatian (the main language of Yugoslavia when she was a kid) but also Italian, French, and German, all of which she learned over the course of her career as a model. ……how about the guy who really wrote Trump’s “Art Of the Deal”…..
As the ghostwriter for Donald Trump’s 1987 memoir The Art of the Deal, Tony Schwartz spent more than a year with the businessman. 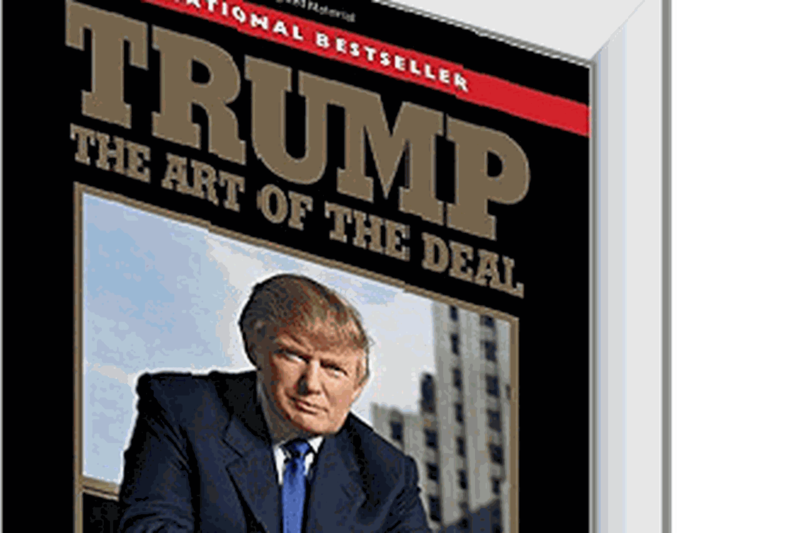 The book, which was largely penned by Schwartz, helped create Trump’s national reputation as a savvy dealmaker. For the next 30 years, Schwartz watched as Trump’s fame continued to grow — first as the star of the reality show The Apprentice, and eventually as the presumptive nominee for the Republican Party. This, of course, is strikingly different from the narrative Trump has told on the campaign trail. But Schwartz portrays Trump as a pathologically self-centered man with the attention span of a 9-year-old. Given that the president is often called on to quickly absorb complex information and then make high-stakes decisions, this personality trait might prove to be a liability in the White House. Previous Post …..are you shitting me?………. Next Post …….how many republicans does it take to plug in a lightbulb?…….